The show is on the plate! 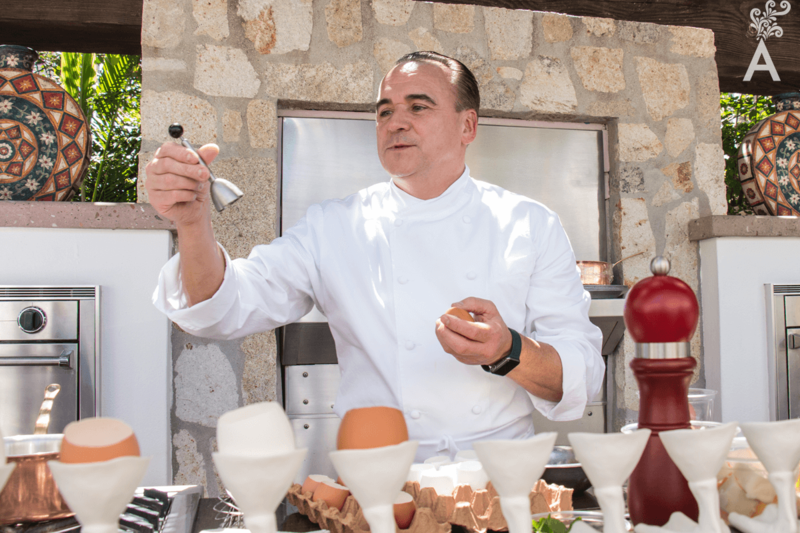 This is what cooking is like for three Michelin star chef Jean Georges Vongerichten. The charisma of the chef-entertainer, as he describes himself, lights up a room. His passion for food is contagious. Indeed, the menus at both Suviche and Seared are a great performance. 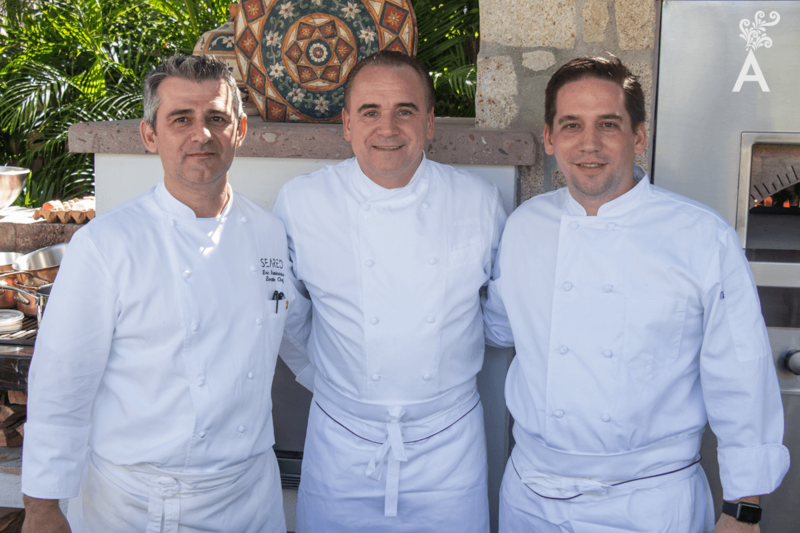 With 35 restaurants in eight different countries, Jean Georges schedules his time so he can travel one week each month. Traveling is his source of inspiration. He also recognizes the importance of balance to keep things together. He likes to get involved in every aspect of his restaurants. From the concept, architectural design, staff selection, to the menu. But still his favorite place is the kitchen, cooking for at least six hours a day as therapy. Jean Georges is a fan of Japanese food, but he also likes to occasionally indulge in a big steak. 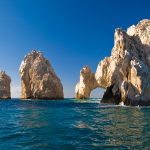 Hence his desire to make Suviche a simple and fresh option for dinner, using local produce from the sea around Los Cabos. Seared was meant to be a steak house where you can find elaborate dishes but also less complicated options. 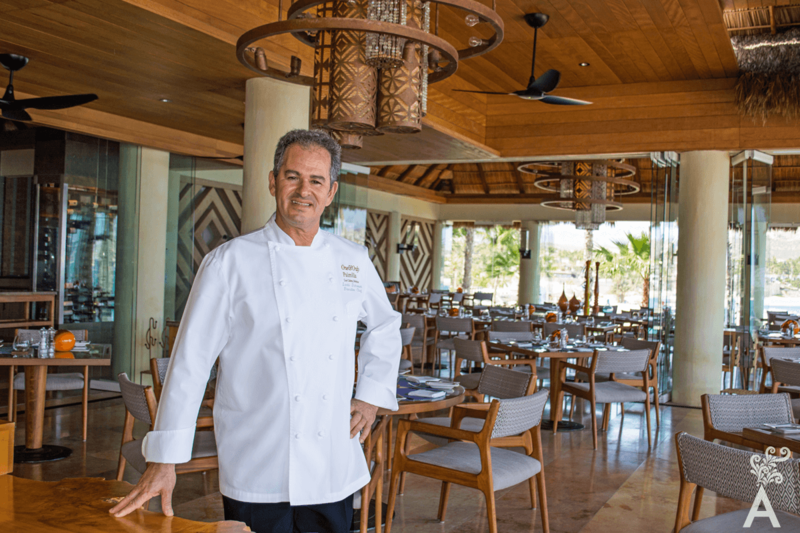 Chef Larbi Dahrouch has been working at the magnificent One & Only Palmilla Los Cabos for 14 years and was recently appointed Executive Chef of the resort. 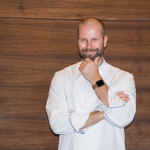 He shared the secrets behind one of the best fine dining hotel restaurants in this destination. 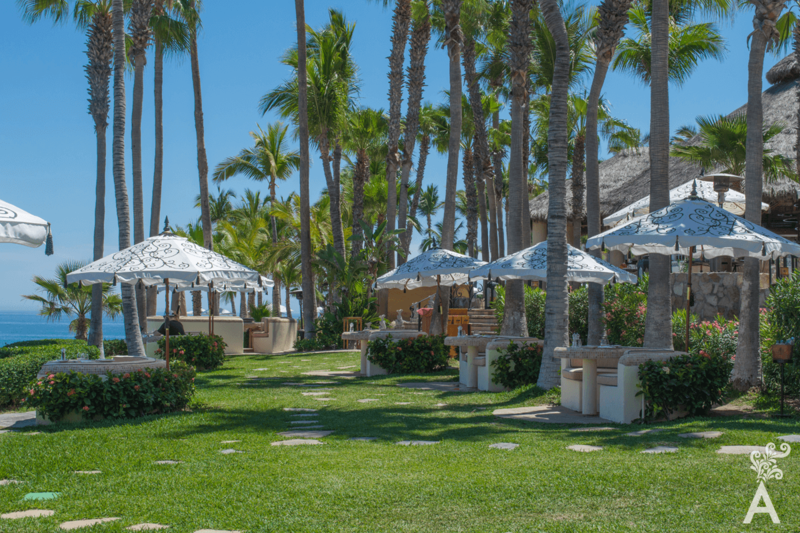 One & Only Palmilla has maintained high standards and glamour from the very beginning. Chef Larbi explains one of the keys is the cordial staff. They know each guest so well, they will be one step ahead of your thoughts. They treat you warmly and welcome you from the heart. 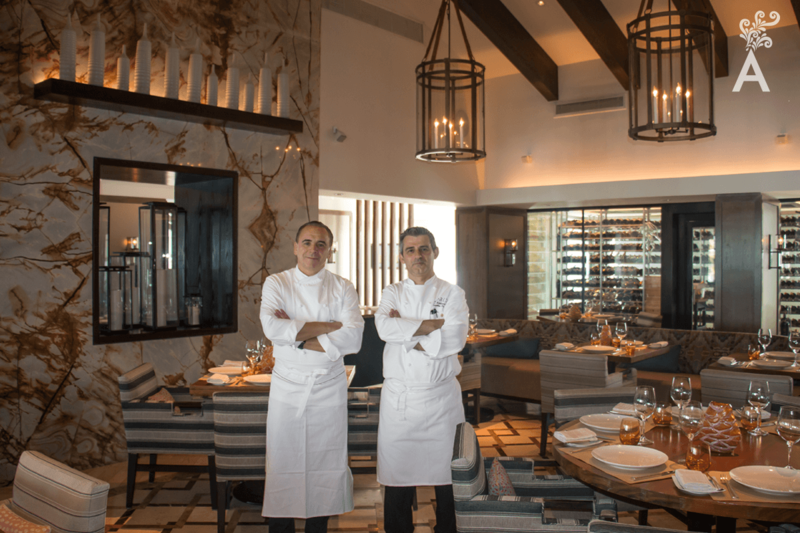 Another distinctive element of One & Only Palmilla is the exclusive gastronomic offering, which continues to expand. 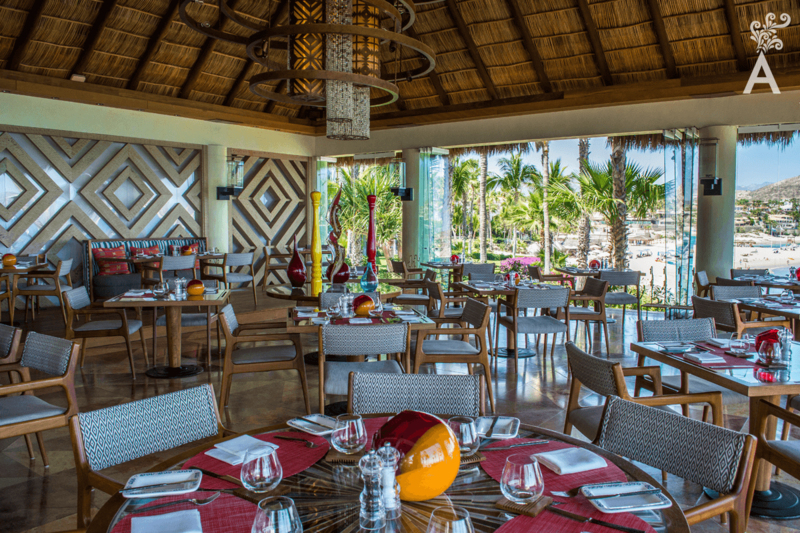 Aqua by Larbi serves Mexican specialties with an eastern fusion using local seasonal produce and the catch of the day. Local ingredients such as jalapeño and Serrano peppers, tomatoes, hoja santa and epazote are exceptionally combined with Larbi’s Mediterranean cuisine creating exciting dishes. 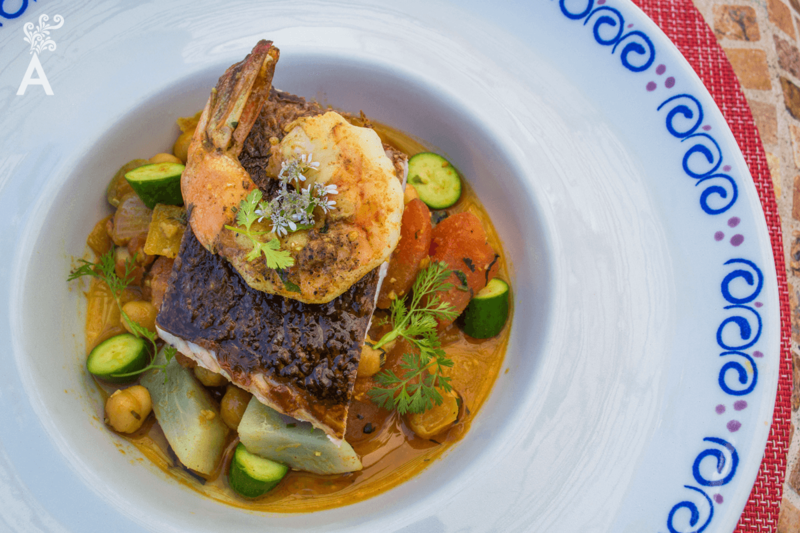 Some of these recipes, as well as Chef Larbi’s experiences from his journey from Morroco to Los Cabos, will be included in his upcoming Cook Book!